CAMRA is set to widen its remit to represent drinkers of quality beers, ciders and perries of all types, as well as moving its focus beyond traditional pubs, if its members approve recommendations put before them in April. While continuing to advocate that real ale is the pinnacle of the brewer’s craft, the Campaign’s wider focus will mean all drinkers who enjoy a range of beers, ciders and perries will feel welcome in the organisation. If the changes are approved, the Campaign will work to provide an enhanced education and information experience for its members, and all drinkers who attend CAMRA festivals, to help them appreciate and learn about all types and styles of beer, cider and perry – and make informed decisions about what constitutes “quality”. While campaigning for the continued production and consumption of real ale, cider and perry will remain at the core of CAMRA’s objectives, members will be asked to consider changes to the organisation’s Articles of Association which will widen the range of types of beer that it represents – including quality beer which does not meet the organisation’s definition of “real ale”. The recommendations also propose that as a result of widening its scope of interest CAMRA will be able to represent and engage with all beer drinkers and with all pubgoers, irrespective of what they choose to drink, increasing its ability to campaign in the interests of a much larger constituency. This broadening of consumer representation will also see CAMRA demonstrate an interest in and lobby for a much wider range of on-trade outlets. 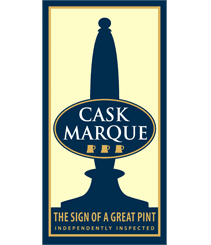 While the organisation will continue to campaign for the preservation of the traditional British pub, it will also encourage on-trade outlets of all kinds to serve quality beer, cider and perry. CAMRA will continue to advocate drinking in public social venues, rather than the increasing practise of consumers buying their drinks from supermarkets for home consumption. The 46-year-old consumer organisation launched a root and branch review of its purpose and objectives, called the Revitalisation Project, at the start of 2016. CAMRA’s 190,000 members have been involved and consulted throughout the process and will soon have their say on whether the resulting proposals for change are adopted. Seeking approval for their recommendations, the Campaign’s leadership argue that a wider appeal and closer connection with the current revolution in beer and bars will enable the organisation to connect with modern-day beer drinkers and pub goers. This in turn will strengthen CAMRA’s campaigning voice: enabling it to increase the already-considerable influence it exerts on the Government and industry decision-makers. CAMRA chairman Colin Valentine said: “It’s always been important that our members have had a say throughout this review process and we’re now at the point where we’ll be giving all our members the chance to vote on the final Revitalisation Project recommendations. “The vote will be held at our Annual General Meeting, in Coventry in April. In the months between now and then we’ll be making sure members can access the full details of the changes we’re recommending, along with the analysis of the impacts and potential opportunities the changes will have. “My colleagues and I will be making ourselves available at meetings around the country over the next three months so that members can ask us questions about the proposed changes. We’ll also be making sure that we’re available online at frequent intervals. At the end of this process our aim is to make sure that every member has been given the opportunity to learn more about the proposals before they voted.